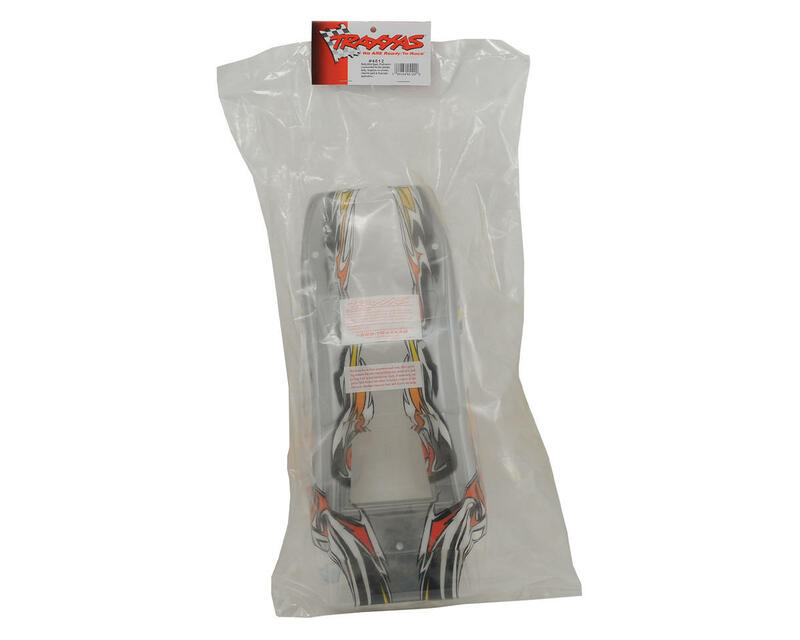 The Traxxas Nitro Sport ProGraphix Body gives you a custom paint option, without all the hassles, bleeding paint or over-spray flaws. The unique ProGraphix painting process creates crisp, clean lines, smooth fades, and amazing professional graphics. Don’t want red, blue, purple, or silver? What about florescent yellow, jet black, or even hot pink? The final color choice is yours with ProGraphix Custom bodies. 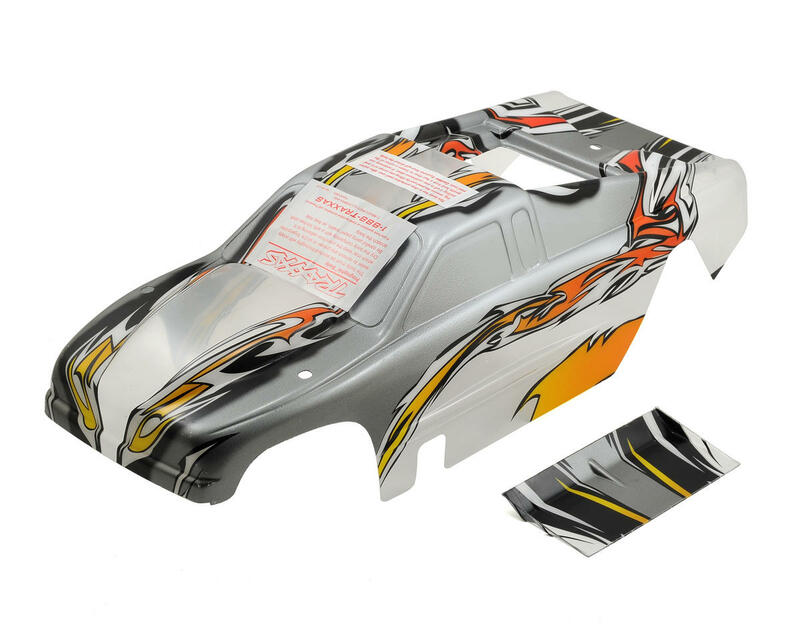 ProGraphix bodies feature the same hot, clean graphics as the standard bodies, however the overall color is left clear, leaving the final coat and color choice to you! The body is pre-trimmed, with black window decals, and the overspray film left on the outside of the body. No need to worry about masking, over-spray or paint bleeds. Just grab a ProGraphix Custom body and a can of paint, spray your favorite paint color, pull off the peel coat and you’re ready to roll!